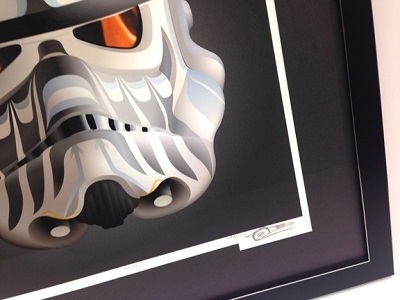 The last of our Andy Everson prints are flying (or jetting) off the walls. 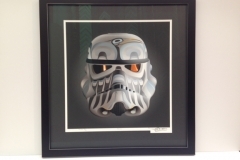 This latest series included six iconic characters, each extracted from the Star Wars series, and tattooed with Haida patterns. 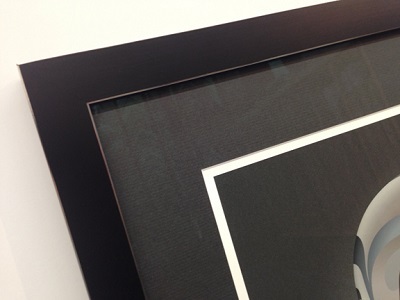 Incredibly eye-catching, these deeply saturated prints are available both framed and unframed. 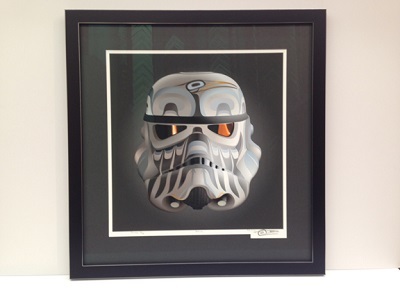 The limited series can only be found at Hill’s Native Art and Framagraphic Picture Framing. 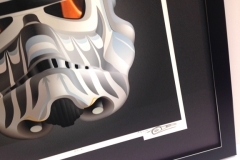 Control, the Storm Trooper, has already sold out. Wisdom, Fear, Power, Money and Language are still available, though there are only a handful of prints left from the edition of 120. 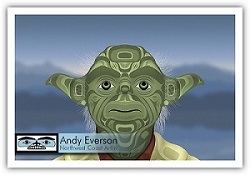 “Andy Everson was born in Comox, BC in 1972 and named Na̱gedzi after his grandfather, the late Chief Andy Frank of the K’ómoks First Nation. 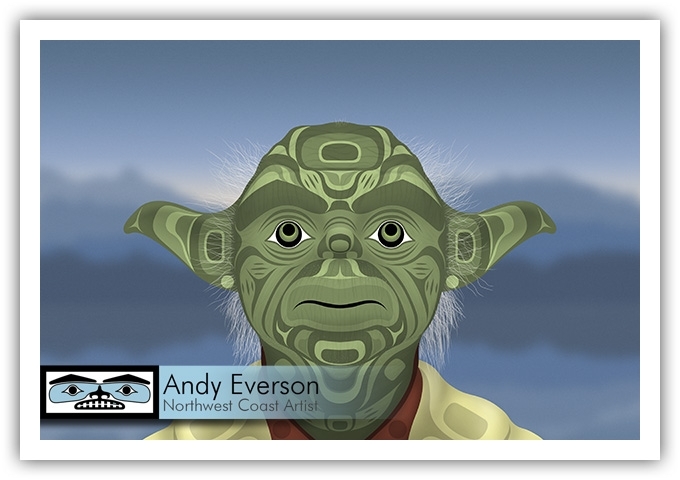 Andy has pursued avenues where he can sing traditional songs and perform ceremonial dances at potlatches and in a number of different dance groups, most notably the Le-La-La Dancers, the Gwa’wina Dancers and the K’umugwe Dancers. 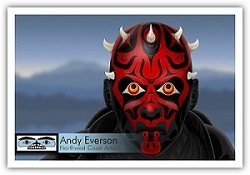 Pursuing other areas of traditional culture has also led Andy to complete a Master’s degree in anthropology. 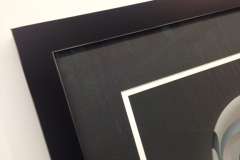 Because the K’ómoks First Nation lies on the border between the larger Salish and Kwakwa̱ka̱’wakw realms, his thesis focused on notions and expressions of contemporary Comox identity. 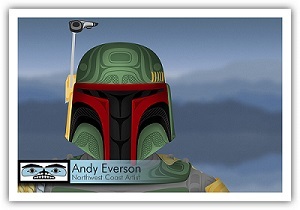 His work in anthropology provided him with a background in linguistics which subsequently inspired him to create a company, Copper Canoe, Inc, that specialized in the creation of Aboriginal language media.